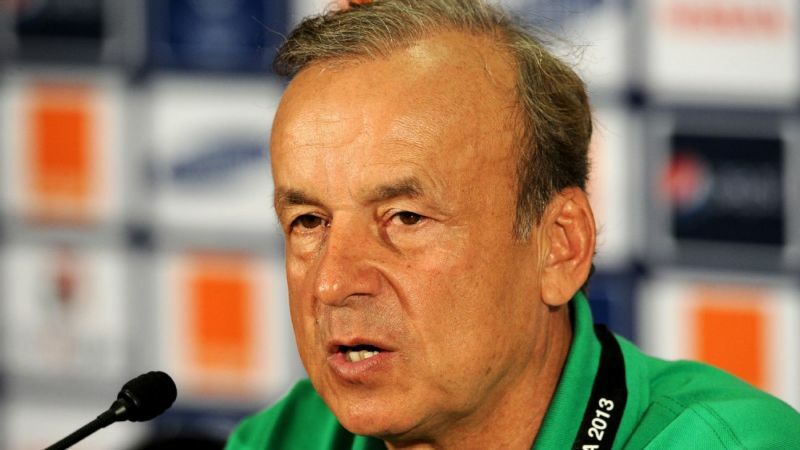 President of the Nigeria Football Federation (NFF), Amaju Pinnick, has said that the federation handed Super Eagles head coach, Gernot Rohr, a new two-year deal, to avoid distractions during the 2018 World Cup preparation. Rohr, who was hired by the NFF in August 2016, has met the first milestone of his contract, which is qualifying Nigeria for a sixth FIFA World Cup finals. The Eagles were the first African nation to qualify for the tournament, emerging from a ‘Group of Death’ that had Zambia, Algeria and Cameroon. “We have decided to confront head-on any possible area of conflict or controversy, and fully resolve each and every possible friction point well ahead of the competition. “After signing the agreement on payment to the team from expected FIFA income, the next stage was to take care of the Technical Adviser. He has done very well and does not need to go into the World Cup uncertain of his future,” Pinnick stated. Rohr, 64, has won seven of 12 matches and drawn four in his 15 months in charge so far. His only loss was the 0-2 reverse to South Africa in a 2019 AFCON qualifier in Uyo in June 2017.